I get this question a lot from you. 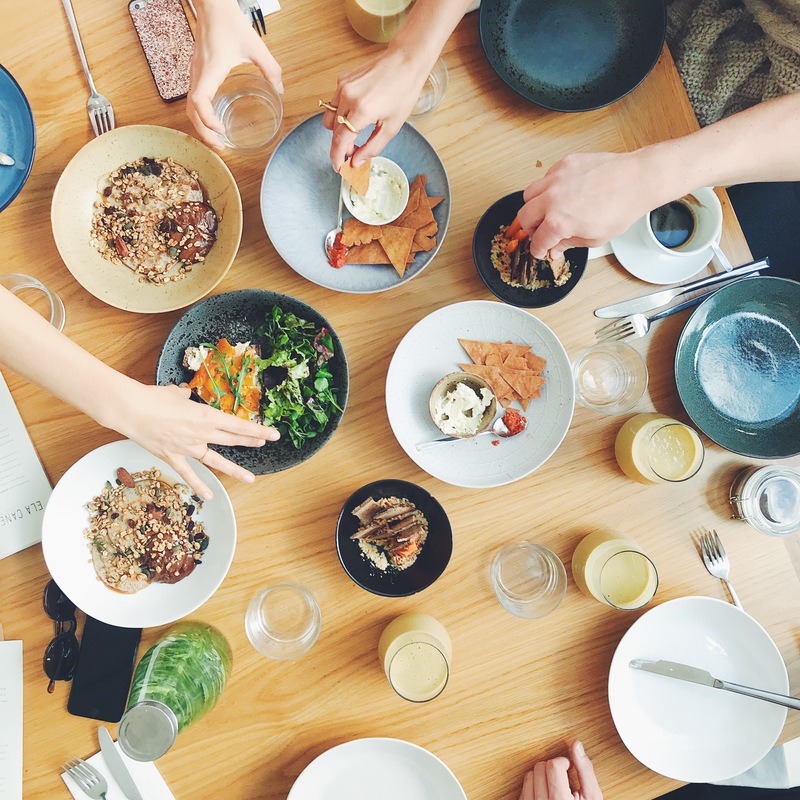 You’re coming to Lisbon and want to know the healthiest hotspots, what’s not to be missed or my top picks when it comes to a more natural and conscious lifestyle. Well, there you go, today I’m sharing my favourites of the moment, why and where. I know I’m biased but this is the cutest little vegan café in town. And you know who developed all their f&b recipes? Yours truly. Find out more about it on my portfolio. 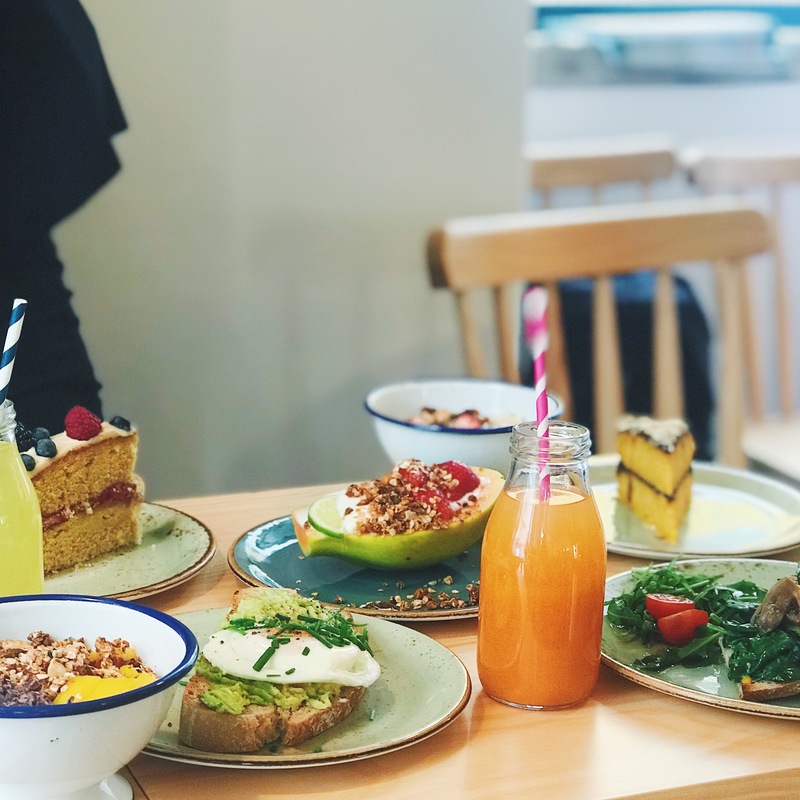 Here you’ll find comforting vegan food cooked with love, colourful lattes to sooth your tummy and deliciously natural sweet treats. This beautiful café is a hidden gem inside Lisbon’s tranquil neighbourhood, Campo de Ourique. Expect a weekly changing menu, fresh produce, breakfast, lunch and brunch options. All made with whole foods that feed you inside-out. Here, one thing is for sure: food is good! Flavours are on point and the menu offers light options, just the way I like it. If you eat meat, don’t miss out on the bolognese. And if you opt for dessert (like, why wouldn’t you?!) you have have to try their salted caramel tartelette, it is to die for!! All grain-free and natural sweeteners only. This tiny juicery right in the historical center of the city is a spot not to be missed. Go there for a powerful breakfast smoothie + juice-to-go (Largo Dr. António de Sousa Macedo 4A) or a superfood latte with their great house-made plant-based milks (further up the street, nr 56, before Park bar). In this new location they also offer plant-based food like toasts, cakes and cookies. Gotta be honset guys, this is still my favourite spot to eat. The hype about it is real but there’s nothing I crave more than a bowl of their Seafood Quinotto, dreamy. The secret for a table? Go either very early or very late. I prefer the lunch time, once I like to enjoy the beautiful natural light of the space, so I either go around noon or after 3pm. Their shops are widely available around the city, some with a health food store included. Their most recent location is in the heart of Chiado (Rua do Loreto) and serves an all-day-long brunch. Don’t miss the two recipes I created for the brand, the green smoothie bowl, the pink smoothie bowl and the orange chia pudding. See more on my portfolio. The first all organic bluk shop in Lisbon. I love it since it was under renovation and was just an idea on paper (and on Instagram). 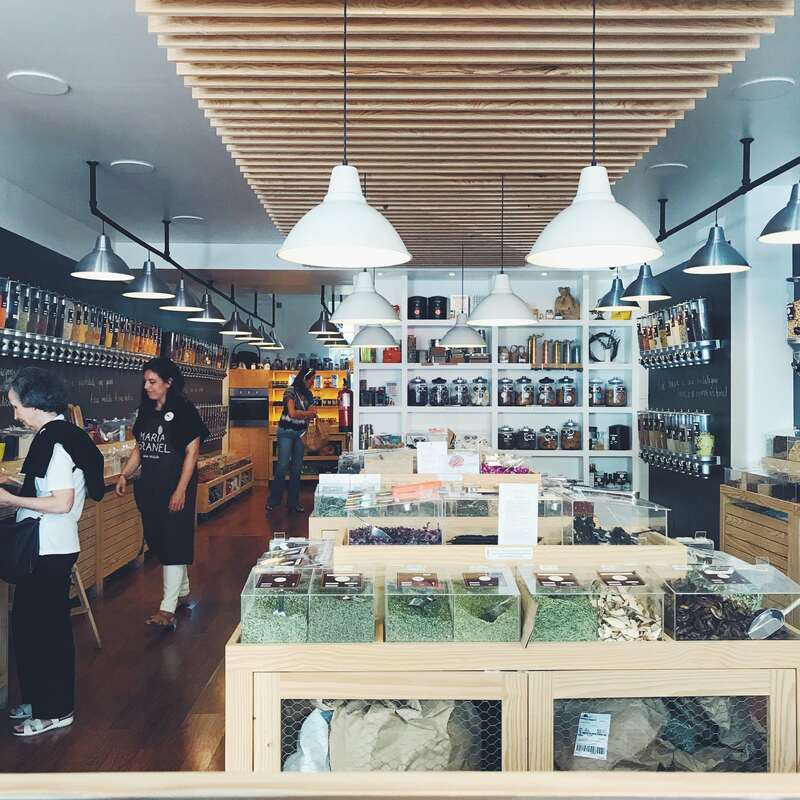 Now, almost 2 years after the big opening, Maria Granel is the most inspiring neighbourhood shop, promoting Zero Waste lifestyle and selling a bit of everything – from the best organic dry ingredients to stainless steel dinnerware, plastic cling film alternatives and bamboo toothbrushes. Pop by and leave inspired. My favourite organic cosmetic shop in the city. They sell bespoken brands like John Masters Organics, the top algae favourite Voya, amongst others like Ila, Dr Hauschka, Mádara… Organii has 4 shops all around Lisbon and do you want a super plus? What about an Organic Day Spa in the beautiful Príncipe Real? That’s right, book yourself a special treatment and enjoy it to the fullest. My favourite organic supermarket. Re-stock here if you’re staying in town or pop by just to check out their shelves – If you’re like me, you love doing this when visiting a new city. If you’re coming by car, you can probably fit this into your schedule – the loveliest organic farm, with its own farm-to-table restaurant and tailored farm tours upon request. Learn all about the seasons and get to taste all the love-grown 100% organic goodness. Loved this article, thanks for the recommendations!